The peppermint plant grows wild throughout Europe and North America in moist areas and is thought to be of Mediterranean origin. Peppermint is an aromatic plant actually believed to be a naturally occurring hybrid of spearmint and watermint. It is used to add flavor or fragrance to foods, cosmetics, soaps, toothpastes, mouthwashes, and other products. Peppermint is found in the forms of leaves, capsules, and oils. 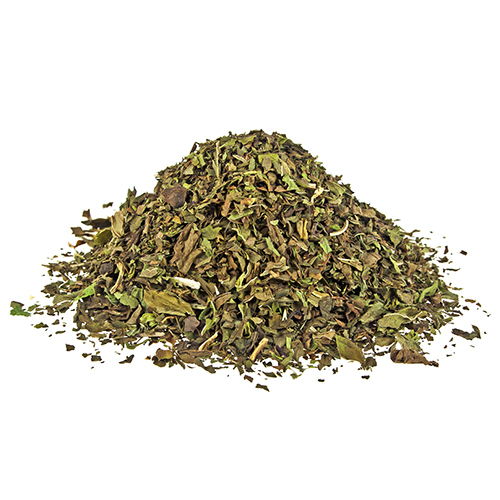 The menthol flavor is very appealing to many people, making this one of the most popular tea varieties in the world. Peppermint is a refreshing herb that can add zest and flavor to many dishes. Peppermint can be added to drinks, mixed into side dishes or used to season meats. Peppermint is used for flavoring ice cream, candy, fruit preserves, alcoholic beverages, chewing gum, toothpaste, and some shampoos, soaps and skin care products. Add a dash of this herb to lemonade and you get a refreshing drink in no time. While talking about drinks, cocktails cannot be far away and the humble peppermint is used in quite a few cocktails and mojitos. Mint is very popular in Middle Eastern dishes and complements certain kinds of meat, especially poultry and lamb. In England, lamb is traditionally served with a mint sauce. Peppermint generally grows best in moist, shaded locations. It grows best with a good supply of water, without being water-logged, and planted in areas with part-sun to shade. Snip peppermint leaves anytime. To harvest large amounts, cut plants at their base before blooming starts. The first year’s crop is thought to be the most aromatic and valuable.